Global wildlife trafficking syndicates employ increasingly sophisticated circumvention tools and technology to avoid detection. It makes sense to expose them by playing them at their own game. The Oxpeckers Center for Investigative Environmental Journalism combines traditional investigative reporting techniques with data analysis and geo-mapping tools to track international wildlife traffickers. We aggregate poaching reports and maps the results for easier analysis of where the global syndicates operate. International investigations are conducted by embedded Oxpecker Fellows, on secondment from other media in Africa and elsewhere. They spend their fellowships with the unit to report on major environmental stories for their home audiences and home media. 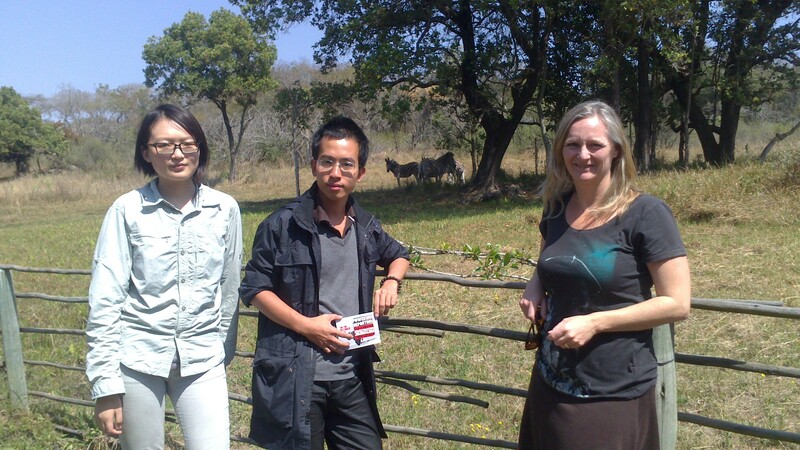 In late 2013 we placed two young Chinese journalists within the Oxpeckers investigative team, with the aim of exposing wildlife trafficking links between Africa and China. The Wits Journalism Department’s China-Africa Reporting Project partnered with Oxpeckers on this Chinese Environmental Journalism Project. The 2013 Fellows were Hongxiang Huang, a journalist at Southern Weekly in China and a recent masters graduate from Columbia University; and Hongxiang Liu, a reporter in the environment and science news division of Caixin Media in Beijing. Working under the mentorship of seasoned South African environmental journalist Fiona Macleod, they produced exclusive investigative dossiers on Chinese links in the illegal trafficking of rhino horn, ivory and other endangered species from South Africa, Mozambique and Namibia to Asia. They also collaborated in joint investigations with journalists from the Forum for African Investigative Reporters. The resulting reportage was published in English mainstream media such as Mail & Guardian, Wildlife Extra, Le Monde diplomatique and African Sentinel, as well as in their home media, South China Dialogue, GQ China Magazine, Caixin Century Magazine, and Caixin English. Their investigative dossiers were published on the Oxpeckers geo-narrative platform, and blogs on their research into international smuggling networks featured on china-africa-reporting.co.za, as well as being widely published in China. As they were leaving South Africa at the end of their fellowship, a major breakthrough was announced about a collaborative bust between the Hawks Organised Crime Unit in South Africa and police in Hong Kong. The Chinatown market near Johannesburg, which they had exposed as a hub of illicit trafficking, was closed down. There was a subsequent crackdown on ivory and rhino horn smugglers in China, and in January 2014 Hong Kong burned 28 tons of ivory – the largest stockpile ever destroyed. In April 2014, a Bill submitted for first reading by China”s top legislature defined eating endangered wild animals, or buying them for this or other purposes, as illegal. Offenders could be jailed for up to 10 years. 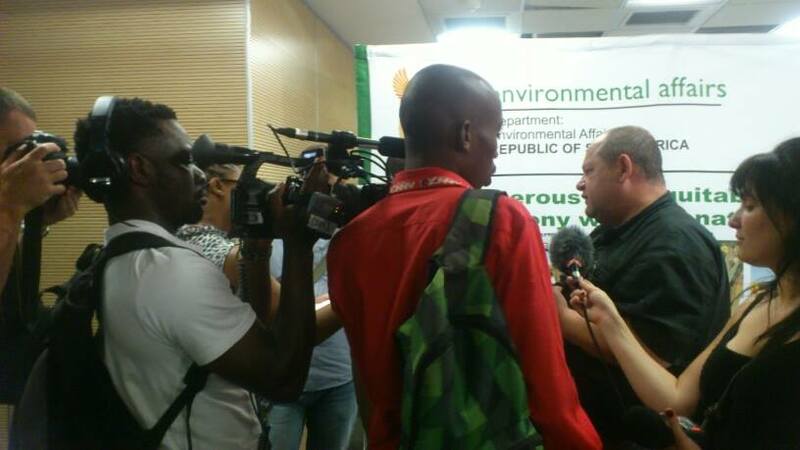 As a direct outcome of an investigation by Hongxiang Huang and Oxpeckers Associate Estacio Valoi, published in Le Monde, wildlife NGOs challenged the Mozambican government to halt rampant rhino horn and elephant poaching. In April 2014, the Mozambican government responded by tabling a draft Bill before Parliament that, when passed, will treat wildlife poaching as a crime (currently it is a misdemeanour), and will see convicted poachers receive jail terms of between eight and 12 years. And on April 17, the Mozambican and South African governments signed an accord that will see greater collaboration between the two countries to combat poaching and wildlife trafficking. In Namibia, Hongxiang Huang worked with reporters from the Forum for Investigative African Reporters to expose wildlife trafficking by Chinese nationals in the remote Zambezi region. As a direct result of this reportage, conservation groups called on the Namibian government in April 2014 to collaborate with the Chinese government to prevent seemingly isolated incidents “growing into a full-blown poaching crisis”. In August 2014, Hongxiang was hailed as a “Wildlife Hero” by the United Nations Environment Programme (Unep) as a result of his work at the Oxpeckers centre. He was featured on CCTV Africa”s website. The Chinese Environmental Journalism Project produced a unique collaborative journalism model for replication. The underlying evidence and other source materials for the partnership are available to other media and environmental guardians for use in their own work. Contact oxpeckers@gmail.com for more information.